I am curating my first show thanks to passion, persistence and a great team to work with. The YGallery Salon offered me their walls and I went straight to the streets to find artists to fill them. I decided to showcase one artist at a time to give them their own 15 minutes as they certainly deserve it. 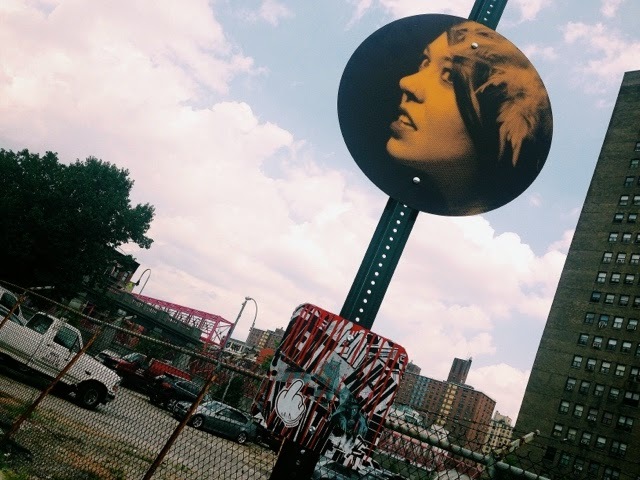 My dear friend had shown me these incredibly beautiful portraits around the city and outer boroughs and I decided to reach out to the artist to see if he or she, as they are generally anonymous, were interested in showing in a beautiful salon. Not an art gallery alone per se but YGallery Salon in Soho. 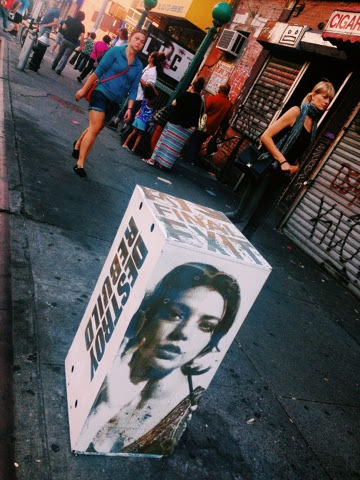 A lot of street artists don't want to be in galleries as they view the street as their gallery. Russell King said yes as he was intrigued by the setting. 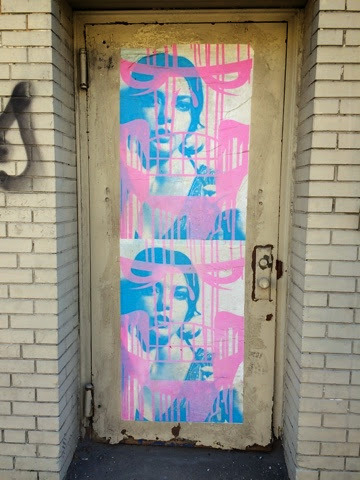 I had seen his work in Soho with another wonderful artist, Matt Siren, yet didn't want to tell him what to put on the walls. We did meet, and yes, I had no idea of his age, race, nothing previously but a voice to recognize him by. We then peaked into the space together along with their Brand Director|Social Strategist and my personal friend Brigitte Segura (Fashion Daily Mag ) and that is when I saw the artist working to determine what piece would go where. I loved the way he spread his arms to figure out measurements! The show opens October 17 th, with a VIP reception for press before opening to the public the very next day. I am both scared to death and excited as fear of the unknown can be haunting at times. I have had the pleasure over the past year to meet so many graffiti artists, street artists, muralists, and I see this show as the beginning of a new chapter of my life. At 45, I am chasing my dream of merging the beauty and art worlds together. I want to keep showcasing artists at the space as well as being the catalyst to helping beauty brands use actual artists when creating " street" collections. How can you make a graffiti collection without collaborating with actual graffiti artists?! I see street art becoming more embraced by many and I give thanks to all of the people who want to add it into their communities to make them more colorful as well as more inviting. I leave you with this...you are invited to come by YGallery Salon (Y Gallery Salon) to see this show as it opens to the public on Saturday, October 18 th and will run through December 17 th. Russell collaborated with Destroy Rebuild on this show and their work is simply incredible to view. These one of a kind pieces will be available for purchase and I cannot wait to see how this chapter ends....or shall I say.... begins? 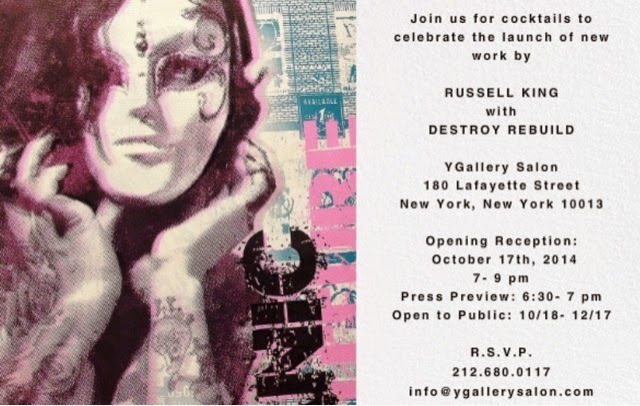 Show invite for Russell King with Destroy Rebuild. How I remember Russell King.